I was invited by Mamasource (Mamapedia) to try out a couple of products from Pure Matters (all natural vitamins, minerals, and supplements). I accepted since it included their new kids line... and I'm all about keeping my kids healthy. Taking vitamins/minerals/or supplements for myself? Meh. I'm ready for lectures about taking better care of myself... starting... now. I am not a person who takes any kind of vitamins with regularity. Don't get me wrong... I'll go through phases where I'm a daily vitamin taker. I'll buy a bottle of whichever brand of daily vitamin aimed at women and I'll take it. When the bottle is empty... I may or may not buy another bottle right away. As far as taking specific vitamins or knowing what vitamin and mineral do what to improve your whatever... don't look at me. I get confused by it all. I've had people say "oh... you should be taking a Vitamin-B complex for such-and-such" or "Oh! I take Vitamin-C every day to improve this-and-that" or "I take this and this and this and this because it's what a woman our age should be taking to improve blah-blah-blah". I just can't keep track... so I don't take anything (for the most part). That said, if somebody points me in a direction and gives me easy to understand information and directions... I'm all for trying things. Pure Matters seems to do just that. 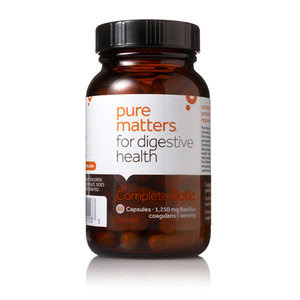 -The prices on the Pure Matters site are comparable to other products I've purchased. -The website is really user friendly. They're clear about what product is for what. They're clear about warnings of what product shouldn't be taken with certain medications. -They're starting a "Pure Rewards" program for just shopping at the site. -If you have an FSA you can use it. -Ready Refill program. For someone like me that finishes a bottle and just doesn't think to get more... auto shipped right to me. -I looked into their Women's daily vitamin and it looks like it has everything and MORE than what is in the vitamin I usually take! Yippee! -For me... it's all still too much to figure out. I'll probably stick with their specific women's daily vitamin. 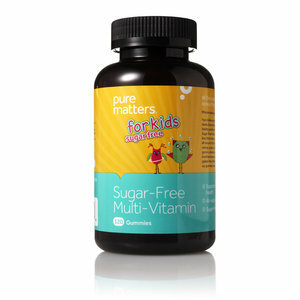 The girls happily tried out the Pure Matters Sugar-Free Multi-Vitamins. -They taste really good. The girls actually asked for their vitamins if I forgot to give them. -They are soft and gummy... not chewy and don't stick to your teeth. -Not fight to get the girls to take a vitamin. It's never left on their breakfast plate. -They taste really good! I absolutely have to keep these out of reach or they would be eaten like candy. -The gummies all stick together in the jar. I had a hard time getting the individual vitamins to dump out of the container. Disclosure: I was sent samples of Pure Matters products through Mamasource. All opinions expressed in this post are my own.